It’s not quite ‘the heat of summer’ yet, but it is definitely a hella lot sunnier and you know what that means! SPF awareness is raising its head in magazines and beauty bibles everywhere. Wear SPF every day, even when its not sunny, drink eight glasses of water a day blah blah blahh. I’ve got loads of foundations with SPF in, but I realised that they were contributing to “flat shiny screen face” in any photos with flash so I decided to buy a separate SPF day cream. For those wondering why, no – it’s not so I can have lots of shameless photos in the daytime as well – the plan is that I buy foundations without SPF, and then I can opt in and opt out as I please. Plan, non? And here we go! My latest purchase. 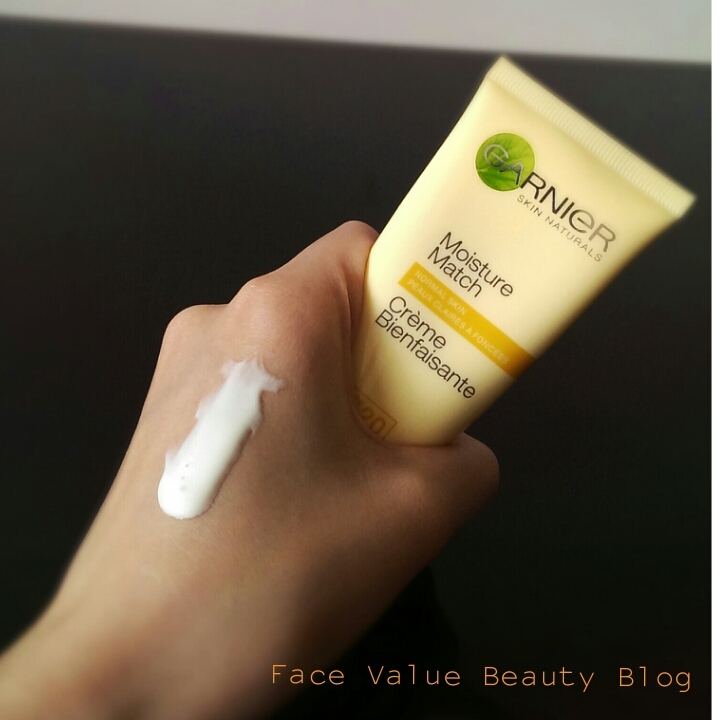 The Protect & Glow moisturiser from the Garnier Moisture Match range. What is Protect & Glow? 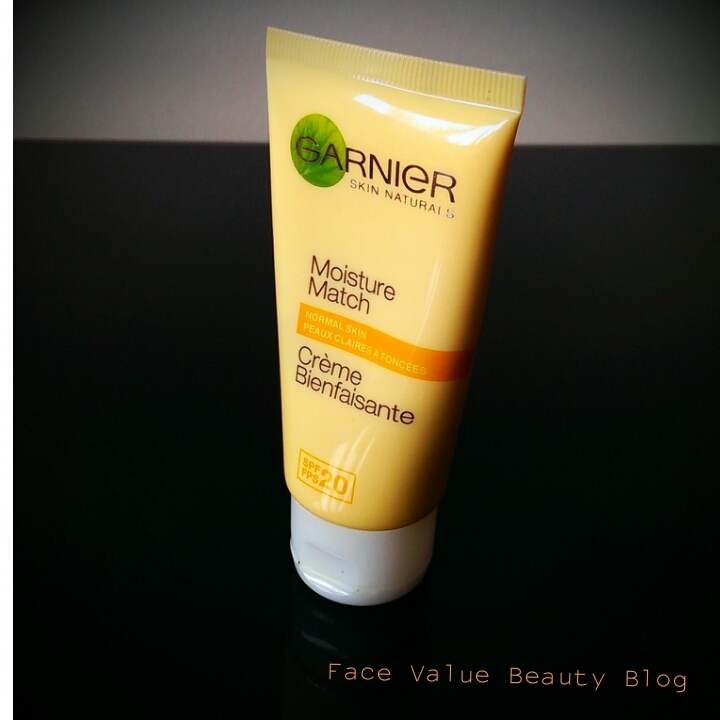 The Garnier Moisture Match range is a collection of moisturisers for all sorts of different skin types. There’s different textures and formulations like Shine Be Gone, a mattifying moisturiser for oily skins and Wake Me Up – a radiance moisturiser for dull skins. Enriched with Lemon extract, the moisturiser is a comforting pale yellow and glides on lightly without that greasy oily feel that some SPF creams give. So far so good. It reminds me a bit of the Nivea Pure and Natural range, lovely scent and quite a fresh feeling on the skin. Although I’ve gone from combi/oily to normal/dry recently, the fact that it’s oil free gives the ex-Spotty McSpot in me lots of reassurance. It doesn’t feel like it’s heavy or blocking my pores. In terms of “Glow” – it’s subtle, just how I like it but maybe not glowy enough for others. Part of me feels that the yellow helps to combat redness too but I don’t know whether that’s just psychological or not. Probs. Either way – it’s a lovely texture and finish. Another good egg from Garnier. FaceValue Tip – Don’t forget that SPF actually goes off so don’t be tempted to stick to an old bottle you bought ages ago! I bought this for £5.99 and I’m likely to buy it again and try other Moisture Match moisturisers. SPF 20 is a nice level for daily protection and I like that I can use it under my current foundation (Bourjois Healthy Mix – click for review -) without it changing the nature of the foundation. So the moral of this story is – using SPF is up to you but this is a lovely yellow way to get it into your daily routine. Here’s to young balloon faces forevs. How important is SPF to you? What moisturiser do you use? How do you feel about shiny photo faces?! And WHO has ‘Normal Skin’? !